Whisk all ingredients except garnish or whirl them together in a blender. 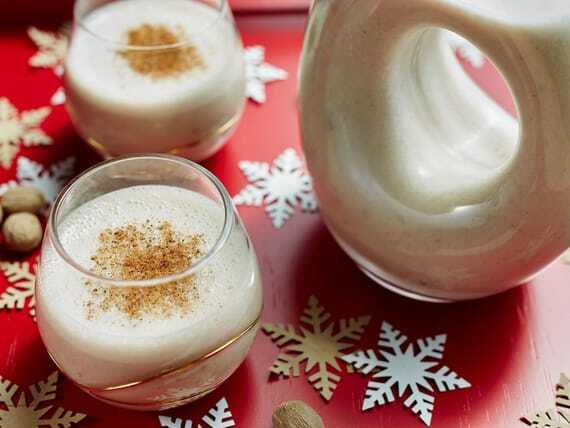 Pour into a glass and garnish with additional nutmeg. For a spirited drink, add 1 oz (30 ml) brandy.